Within the root chakra, our main focus is on security. During our stretch and conditioning portion of class, we discuss nutrition, fitness and classroom safety. This is the first class where children are on their own to further enforce that security factor. The class is an hour long and includes instruction in ballet, tap and tumble. Tumble skills include forward rolls, backward rolls, handstands, cartwheels, bridges and headstands. As we zone in on the mindfulness aspect of our teaching, the phrase of focus is “I am”. This is a ballet, tap and jazz combo class. Within the sacral chakra, our focus is on self-confidence and emotional stability. Our phrase of focus is “I feel”. 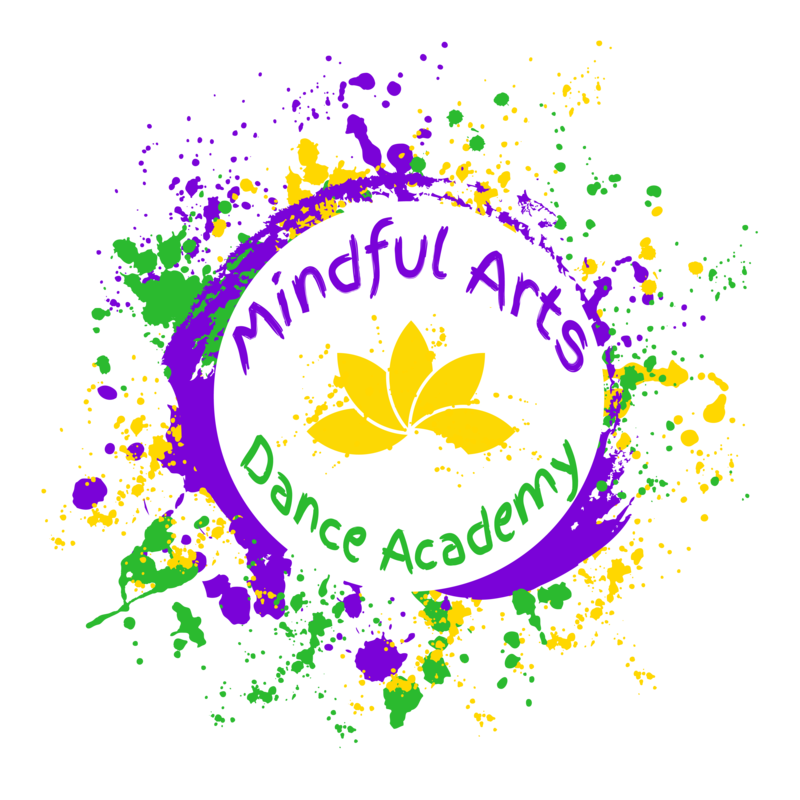 The dancers will start to learn short sequences of choreography and learn to perform for one another as well as parents and members of the community. They will learn the elements of performance like facial expressions to match the music. They will also learn to be creative with different props provided to enforce the theme of the session. This is a ballet, tap and jazz combo class divided into two levels: beginner/intermediate and intermediate/advanced. Within the solar plexus chakra, we focus on will, purpose and wisdom. The phrase of focus is “I do”. The dancers will learn the power of movement and how their full performance impacts the audience’s ability to interpret the message. This is when the dancers will truly engage in the idea of being a dancer whether to dance for recreational, competitive or professional purposes. Within the heart chakra, our focus is on love and compassion. The phrase of focus is “I love”. Heart’s Desire is our girls’ performance team, where Smoothe Beats is our boys’ performance team. Both teams work to be the voice of our studio and spread compassion for everyday issues like racial injustices and racial oppression and other topics relating to the community. They also are the voice of love with a huge focus on self-love and love for one another. This is a unique class with a fusion of the different African dance styles and various modern dance techniques including Dunham, Limon and Horton. Within the throat chakra, we focus on communication and self-expression. The phrase of focus is “I speak” as the dancers learn to speak with their movement. They learn the history of each movement and explore the modern world and its history. Our hip hop classes are divided by ability: beginner/intermediate and intermediate/advanced. These classes still fall under the throat chakra guidelines of self-expression and communication through movement. We use hip hop technique: popping, locking and breaking in combination with today’s latest dance moves to bring age appropriate dance routines for all to enjoy. The dancers participate in master classes to better their technique and form for a small additional fee. This class is a lyrical, contemporary and modern/improvisation class. All styles incorporate free movement through space along with some ballet or jazz technique with an emphasis on expression. Within the third eye chakra, we focus on awareness, imagination and intuition. The phrase of focus is “I know”. We use many improvisation exercises to allow their minds to imagine and get in tune with their natural reactions to different pieces of music, sounds or silence. This is an outside the box class and truly tests the dancer outside of the traditional dance setting. In our adult combo class, we explore all genres of dance in a fun and engaging way. We discuss nutrition, fitness and life lessons to help us enhance our overall well being. This is a unique class for all types of dancers from beginner to advanced and natural to technical. Come give us a try with a free class! Interested in Joining the MAD Family?